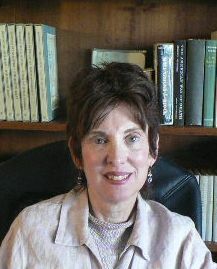 A trained psychoanalyst, Linda Klempner, Ph.D. has the expertise for those interested in working toward deeper self-understanding. Building inner confidence and eradicating personal demons can be the most worthwhile self-exploration a person can ever undertake. For individuals with neither the time nor inclination for psychoanalytic psychotherapy, my clinical training facilitates the understanding and elimination of disturbing symptoms such as obsessive/compulsive behaviors, eating, sexual, anxiety and panic disorders, and chronic pain issues. Life circumstances may lead depression and anxiety, yet the desire to face change can be daunting. As a psychotherapist, I am curious about people and find that two heads are often better than one when it comes to understanding what makes someone “tick”. We work together to find the necessary answers in order to move towards more comfortable life circumstances. As a licensed marriage and family counselor, I treat relationship issues and marital discord with a combination of time-tested interventions designed to improve a couple’s communication skills and facilitate mutual respect and acceptance of difference.